There are only a few things that can really make or break a poem. Prepositions are one of those vital elements that once transformed can revolutionize a Truth. You are thinking, what? I don’t even know what a preposition is. Wow. Now is a good time to pull up that school house rock (do people still watch those in class, did I just age myself?). Those directional words, on under above about around after against by etc can make a major impact. Think of a compass at the center of your work. There is a path you take through the poem, from one end to the other. You can think of this as a map if you like, but sometimes that makes it more confusing for me. So I look at the poem as a pivotal point and me at the middle with a compass. Where are we going? Well, the prepositions will tell us that. Those directional words will help lead the reader to where the poem is pointing, like a compass, and lend a better understanding of the whole. If your prepositions are all messed up, or worse you don’t care about them, there will be no needle to guide the reader. The poem will be without route. That seems like a silly metaphor. Some poems are directionless on purpose. Consider shorter poems that have made a mark, Pound’s “In a Station of the Metro” has only 20 words and 5 of them are prepositions. That landmark poem, a semi haiku, is rife with them; a quarter of the whole piece. Now tell me they are a throw away part of the poem. There are more prepositions in your work than you know. 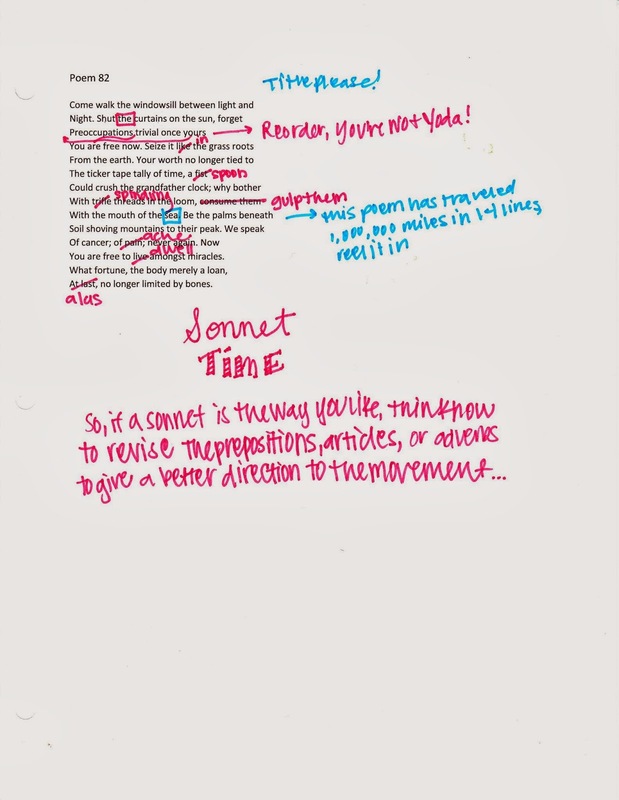 There are more ways to make a poem move, and the difference between on or in or at is a hemisphere. Don’t be fooled. It is the smallest words, and not the largest, that make your work great. A good way to see if your prepositions work is to change them. Make all of your in’s into at’s make all of your under’s into beside’s and see what a difference it makes. Likely you will have chosen the best word for the job the first time, but there are always a few that can improve. Rarely will anyone hit it perfectly at the first shot (on the first shot, haha). Always remember, the difference between a poem that feels good and a poem that feels off might be a two letter word.